Interesting week in international sports. Lets start with the Champions League where once again we have a ‘choke-point’ where games are regularly fixed. Here is the scenario. You are a UEFA investigator. The rest of the world thinks that you have unlimited resources and money coming out of your elbows. You know that if you’re lucky, the system will give you a bent paper clip and an elastic band for resources to stop corruption in Europe’s premier competition – the Champions League. Focus your resources on the matches that stand the greatest chance of being fixed. The sixth-round of Champions League group stage is always a red-flag zone. In 2011, Olympique de Lyonnais (Lyon) played Dinamo Zagreb in the final game of the group stage. Lyon had to win the game by at least six goals to stand any chance of progressing to the next round. Zagreb had no chance of doing anything they were mired to the bottom of the group. Yep. Lyon won seven to one. A Zagreb player while pulling the ball from his own net gave a wide, seemingly-delighted wink to a Lyon player. The rumours bounded across European football. 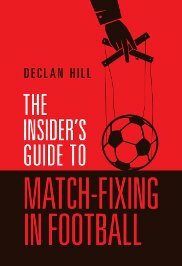 UEFA, purportedly, launched an investigation but really – besides a cursory glance at the odds movement on the betting market – they did nothing. 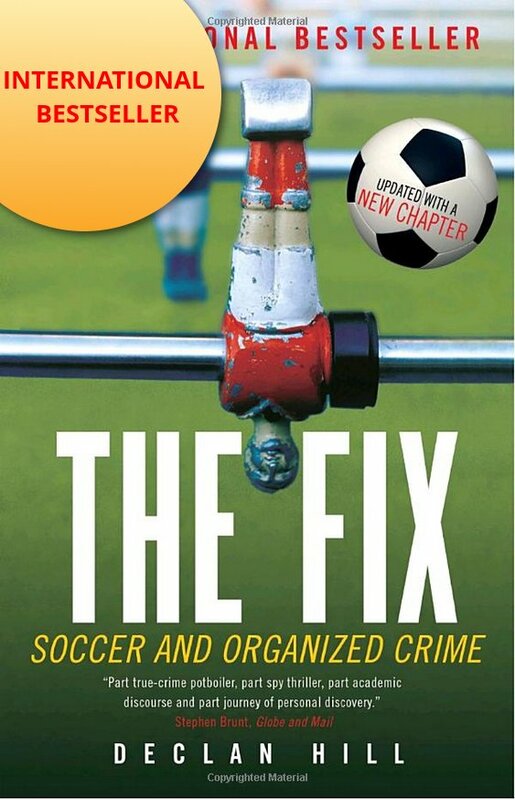 – The teams that might lose come from leagues with widespread corruption, match-fixing and the grey market for buying/selling points is widespread. – The teams that might lose have absolutely no chance of progressing in the group. – The teams that might win are rich teams playing in leagues where fixing is no surprise and the grey market for points is well-established. – The teams that might lose are playing away from home where it is easier to fix games. Note. I am not saying that these games will necessarily be fixed. I am simply saying that if you are an under-resourced UEFA investigator then these are the games that you should closely monitor. Progress for a team to the round-of-16 in the Champions League is worth tens-of-millions of Euro. Will some of that money be spent guaranteeing the result? Today – Tuesday, December 5th is also a red-letter day in Olympic history. It is the meeting of the International Olympic Committee (IOC) to decide whether Russia should be allowed to participate in the up-coming Winter Olympics in South Korea. Here is the state of play. December 2014: Hajo Seppelt a journalist with German television made a documentary featuring the Stepanovas – two whistleblowers who revealed wide-spread state sponsored doping in Russia. May 2016: The former head of Russian anti-doping program Gregori Rodchenkov claims in an interview with the New York Times that the Sochi Olympics had been tainted by a well-organized doping program that helped the Russian athletes. 2015 & 2016: Richard McLaren and Richard Pound, the Canadian investigators produced three reports effectively substantiating the Stepanovas’ charges. French prosecutors have launched a criminal investigation against the head of the International Associations of Athletics Federations (IAAF) who allegedly conspired with Russian anti-doping officials to suppress positive doping reports in return for bribes of hundreds-of-thousands of dollars. July 2016: McLaren delivered his first report substantiating the charges against the Russians. He did so two weeks before the Rio de Janeiro Olympics. After much squirming, the IOC decides to allow much of the Russian team to compete while specifically banning the Stepanovas from participating. Cue outrage and speculation of motives on the part of the top IOC executives. Fall 2016: The World Anti-Doping Agency (WADA) who sponsored the McLaren and Pound Reports, and National Anti-Doping Agencies from two-dozen countries (USA, Canada, etc) and Para-Olympic Movement have an intellectual punch-up with the IOC. During this time, WADA and many of the national anti-doping agencies are hacked by Russian hackers. Fall 2017: 25 Russian athletes who participated at the Sochi Olympics have been disqualified. Up until early November 2017, many journalists who covered this field (myself included) thought that the IOC would again twist itself into pretzel-like shapes to excuse the Russians from their actions. However, three weeks ago WADA investigators discovered fresh evidence against the Russians. A database from a Russian laboratory which lists the athletes allegedly involved in the doping. This revelation was followed-up by an official investigation on a Russian athlete that essentially condones the McLaren & Pound Reports and their methods. Today, the IOC is really caught between a rock and a hard place. Let the Russian team come to the Winter Olympics (which the IOC would love to do) and the credibility of the anti-doping programs are shredded: or ban the Russian team and face retribution. Now the IOC has announced that they will ban the Russians. An extraordinary day and one that I did not see coming (hand up on this one. Never expected to see it. Well done the IOC). The IOC Executive Board (EB) today deliberated on the findings of the Schmid Commission addressing the systematic manipulation of the anti-doping system in Russia prior to this decision. The Commission’s report also addresses the manipulation of the anti-doping laboratory at the Olympic Winter Games Sochi 2014, which targeted the Olympic Games directly. The EB approved the Commission’s report. I To suspend the Russian Olympic Committee (ROC) with immediate effect. 1. The invitation list will be determined, at its absolute discretion, by a panel chaired by Valerie Fourneyron, Chair of the ITA. The panel will include members of the Pre-Games Testing Task Force: one appointed by WADA, one by the DFSU and one by the IOC, Dr Richard Budgett. a) It can only consider athletes who have qualified according to the qualification standards of their respective sports. – Athletes must not have been disqualified or declared ineligible for any Anti-Doping Rule Violation. – Athletes must have undergone all the pre-Games targeted tests recommended by the Pre-Games Testing Task Force. – Athletes must have undergone any other testing requirements specified by the panel to ensure a level playing field. The IOC, at its absolute discretion, will ultimately determine the athletes to be invited from the list. 3. These invited athletes will participate, be it in individual or team competitions, in the Olympic Winter Games PyeongChang 2018 under the name “Olympic Athlete from Russia (OAR)”. They will compete with a uniform bearing this name and under the Olympic Flag. The Olympic Anthem will be played in any ceremony. 4. These invited athletes will enjoy the same technical and logistical support as any other Olympic athlete. 5. The panel, at its absolute discretion, will determine an invitation list for support staff and officials. a) No member of the leadership of the Russian Olympic Team at the Olympic Winter Games Sochi 2014 can be included on the invitation list. b) No coach or medical doctor whose athlete has been found to have committed an Anti-Doping Rule Violation can be included on the invitation list. All coaches and medical doctors included on the invitation list must sign a declaration to this effect. c) Any other requirement considered necessary to protect the integrity of the Olympic Games. 7. The IOC, at its absolute discretion, will ultimately determine the support staff and officials to be invited from the list. • Not to accredit any official from the Russian Ministry of Sport for the Olympic Winter Games PyeongChang 2018. • To exclude the then Minister of Sport, Mr Vitaly Mutko, and his then Deputy Minister, Mr Yuri Nagornykh, from any participation in all future Olympic Games. • To withdraw Mr Dmitry Chernyshenko, the former CEO of the Organising Committee Sochi 2014, from the Coordination Commission Beijing 2022. • To suspend ROC President Alexander Zhukov as an IOC Member, given that his membership is linked to his position as ROC President. • The IOC reserves the right to take measures against and sanction other individuals implicated in the system. • The ROC to reimburse the costs incurred by the IOC on the investigations and to contribute to the establishment of the Independent Testing Authority (ITA) for the total sum of USD 15 million, to build the capacity and integrity of the global anti- doping system. • The IOC may partially or fully lift the suspension of the ROC from the commencement of the Closing Ceremony of the Olympic Winter Games PyeongChang 2018 provided these decisions are fully respected and implemented by the ROC and by the invited athletes and officials. • The IOC will issue operational guidelines for the implementation of these decisions. I did not see that coming either. Happy to see it, though. I feel sorry for Russian athletes who are clean, they were blind-sided by their own government. Olympiacos (Greece) involved in a suspicious match? No, surely, surely not! Don’t they win the Greek League cleanly? Every year, continuously, in fact. Yes – it was an odd week. The IOC does the right thing – finally (as Shirley says! )… and meanwhile European football continues to drift in terms of fighting fixing.